South Florida's Leading Security Company! 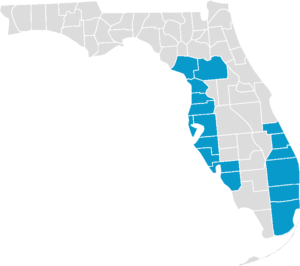 We proudly serve over a dozen counties in South Florida, both on the East and West Coast! Whether it's for your home or for your business, you'll have peace of mind at all times with access to all of your smart home devices with a touch of a button. We take pride in our customers and our work. If you're not happy, let us know, and we're guaranteed to make it right, or your money back! Request A Free Fast Quote Now! Fill Out The Form Below & We'll Do The Rest! Vortex is BY FAR the best alarm company in the area. Fantastic customer service. I would recommend this company to everyone. 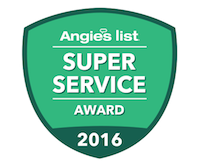 I moved here from Chicago in 2010 and had my system installed by ADT because I used them in Chicago on my home and business. The service was terrible and the system never worked right here in Florida. I had similar problems with Level 5 and Vivant. I finally found Vortex and they have gone above and beyond to make me a happy customer. Their phones are answered immediately by professional staff. Their Technicians are very professional, polite and respectful of my home, their billing and office staff are great and always follow up within 24 hours. I HIGHLY RECOMMEND VORTEX SECURITY!!! Competitive pricing, great technology & equipment. Better value & equipment than ADT. Seamless install process. Had 1 minor issue after install with gfi outlet and owner was lightning fast to get resolved for us. We would recommend this company. We switched from ADT to Vortex 1 a week ago. I could not have imagined the AWESOME service, technology and assistance that we have gotten!! I mean from the extremely knowledgable salesman to the techs that installed the system to the customer service reps! Best decision we have made in ages! The cost is less than we paid for ADT and with more service and technology! AWESOME!!! !